Monday, April 15. Read 1 Corinthians 2:6-10. 1) To whom does Paul speak “wisdom”? 2) What is the difference between a wise and an unwise person? 3) Why do you think unwise people can’t grasp some things? Tuesday, April 16. Read Hebrews 6:9-12. 1) What did the Hebrews writer want his church to do? 2) What was his goal for them? 3) What would the outcome of that be? Wednesday, April 17. Read 1 Corinthians 3:1-4. 1) Why was Paul disappointed in the Corinthian church? 2) Why did Paul feed them milk? 3) What do you think “milk” meant? Friday, April 19. Read Hebrews 5:11-14. 1) What was the Hebrews writer’s reason for feeing this church “milk”? 2) What did he say that they needed? Saturday, April 20. Read Luke 24:13-25. This is Sunday’s sermon text. when first I sought the Lord? How sweet their mem’ry still! Dear Father. We confess that we are often like Cleopas – defeated, eyes catarac’t by doubt, distraction, fear, and uncertainty. At those times we don’t see you, though you are present at all times. So open our eyes. When we eat the bread may we be refreshed by the life it gives us. May we, like Cleopas, turn back to Jerusalem, to the place where we have faith affirmed by an empty tomb and the fellowship of saints. In Jesus’ name I pray this. Amen. Are you walking down the hard road alone? Sometimes, maybe more often than we would like to admit, we find ourselves on the wrong road going the wrong direction, headed away from any lasting source of help, friendship, and hope. It’s not that we intend to be headed in this wrong direction; it’s just that the circumstances and our own disappointments have created the momentum, so we just go with the flow down the wrong road. The surprising lyrics to a song perfectly timed for us. The gentle touch and concerned word of a friend or family member. The comforting aroma of a meal that evokes a flash of precious memory. The ache and longing of our own heart stirred by God’s Spirit. The firm touch of a mentor’s correction and advice. The sense of helplessness when we go to sleep only to awaken with fresh insight. The strange pull on our heart of a Scripture we thought we had long ago forgotten. Maybe none of this has happened for you yet. Maybe you only yearn for it to happen. 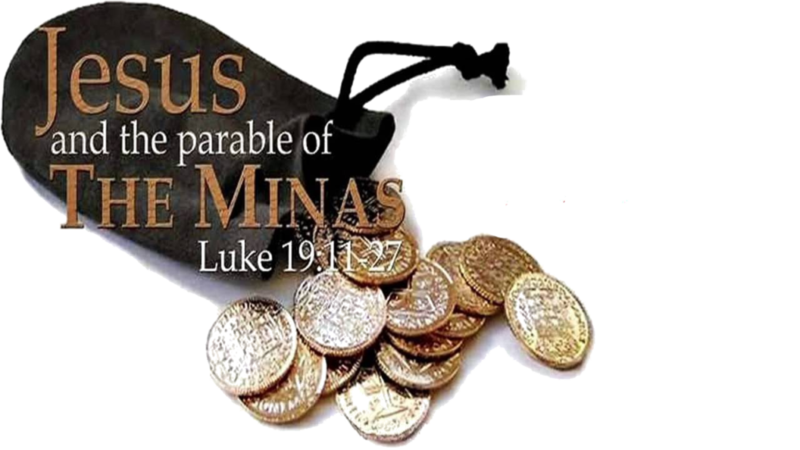 All I know is that an old, simple, mysterious little story from the end of the gospel of Luke reminds us that it can happen for all of us! While they were still talking about this, Jesus himself stood among them and said to them, “Peace be with you” (Luke 24:13-36 TNIV). I don’t know if Cleopas and his friend didn’t recognize Jesus because they were so distracted by their own disappointment or if the Lord intentionally kept his identity hidden. The way life is, it wouldn’t surprise me if it was a little of both. What I do know, however, is that many of us ache for a similar experience. We yearn with a holy fire, a soul longing for an experience of Jesus’ presence. We want to know that he is really present with us. We need to know that our life matters to him. We long for reassurance that he is not as far off as he seems. And what makes it really hard, we’re not sure we even have the right to expect the Lord to be present, to show himself, to be real to us in any tangible way. I know. I’ve been there, too. I’ve felt that “dark night of the soul.” I wasn’t sure I could go on. Fear gripped my soul in the deepest places. And even when the Lord showed himself clearly, it took him doing the same thing, several years apart, in amazing fashion, for me to really accept. He met me on my road to Emmaus and I have never been the same. And if we listen to this story, especially if we listen to it as our story, we notice four simple, but amazingly powerful ways that can open our eyes to see the Lord walking with us on the dark and discouraging roads we travel. Looking for Jesus in the story of Scripture (Luke 24:17-27). Serving others warmly and genuinely as if they were Jesus (Luke 24:28-29). Living in genuine fellowship and community in Jesus? name (Luke 24:30-32). Sharing the good news we have discovered about Jesus with others (Luke 24:33-35). Go back and look at the story above, and you will find these four things. And if you go back and listen to Matthew’s gospel, you find the same four things that the Lord has given us to experience — not know about or read about, but experience — His presence. I will not leave you as orphans; I will come to you. Before long, the world will not see me anymore, but you will see me. Because I live, you also will live. On that day you will realize that I am in my Father, and you are in me, and I am in you. Whoever has my commands and keeps them is the one who loves me. Anyone who loves me will be loved by my Father, and I too will love them and show myself to them. … Anyone who loves me will obey my teaching. My Father will love them, and we will come to them and make our home with them (John 14:18-23). Don’t settle for less than experiencing the presence of Immanuel, God with us. The road is too long and the destination too distant to not know you are walking with the Savior.